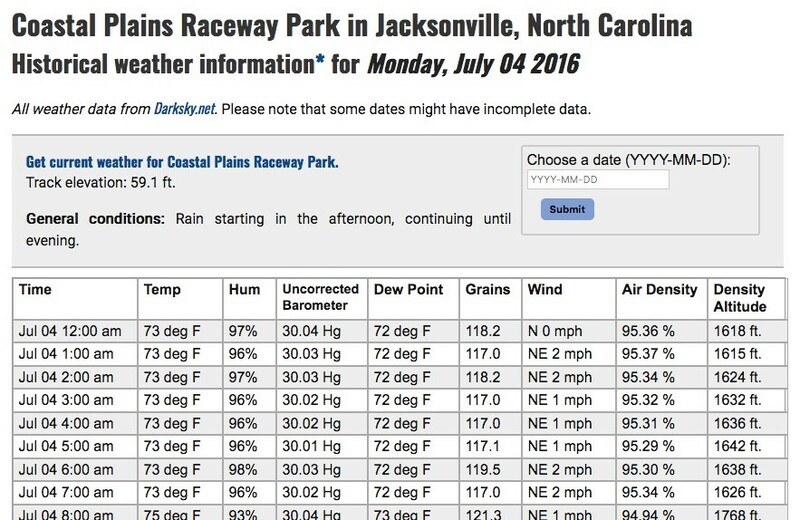 Did you know we developed a full site specifically for online racing weather? 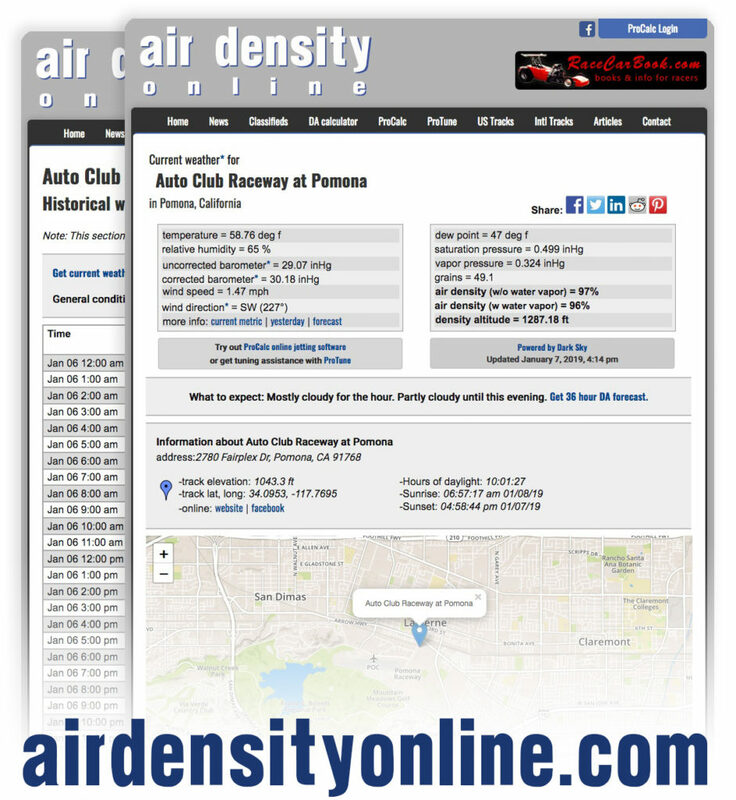 The site provides real-time, forecast, and historical weather variables including air density, density altitude, and grains of water. Currently the site features over 600 race tracks worldwide including dragstrips, circle tracks, nascar, and karting. If your track isn’t listed, contact us and we’ll add it. Example of historical weather, or weather from a past date.